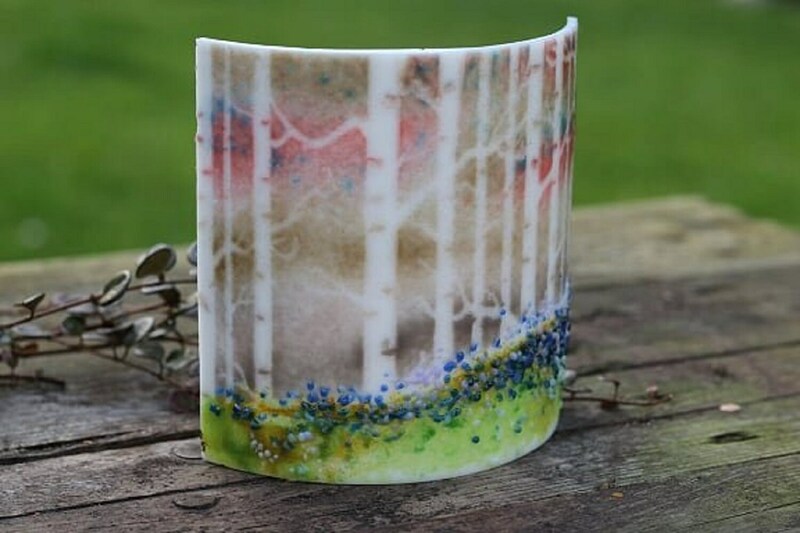 Hand crafted fused glass woodland scene curve panel measuring approx. 12.5cm wide by 13cm tall. 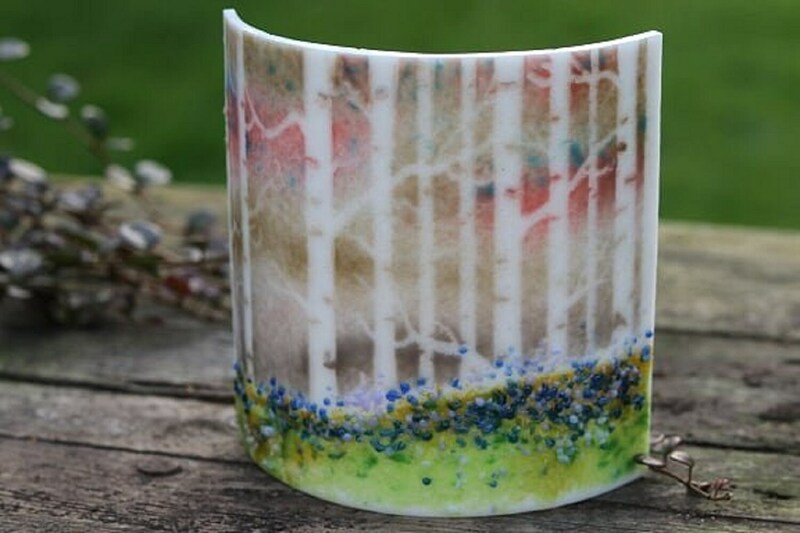 Muted shades of beige, peach and blue have been fused on to a semi-opaque white background, and crushed blue glass depicts bluebells in foreground. 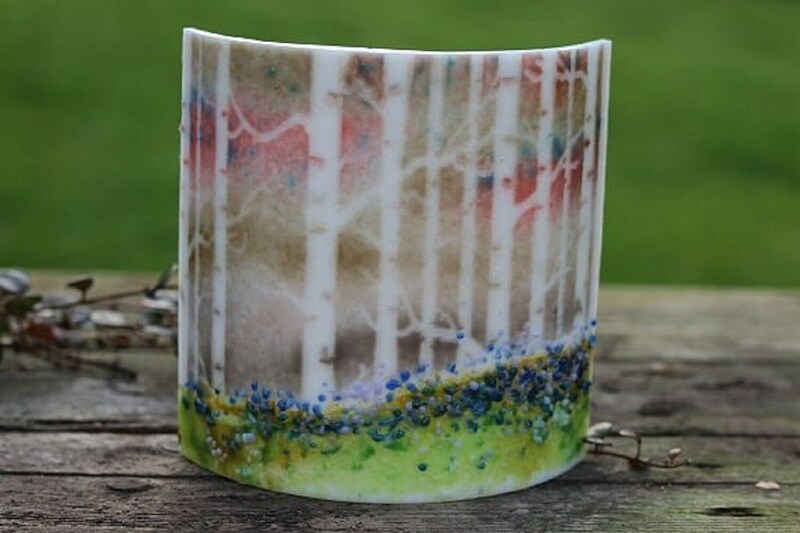 Looks fabulous with light shining through it or with a tea light behind it if stood upright. Made in my small home studio, through two kiln firings. Will come tied and wrapped in hand stamped paper.